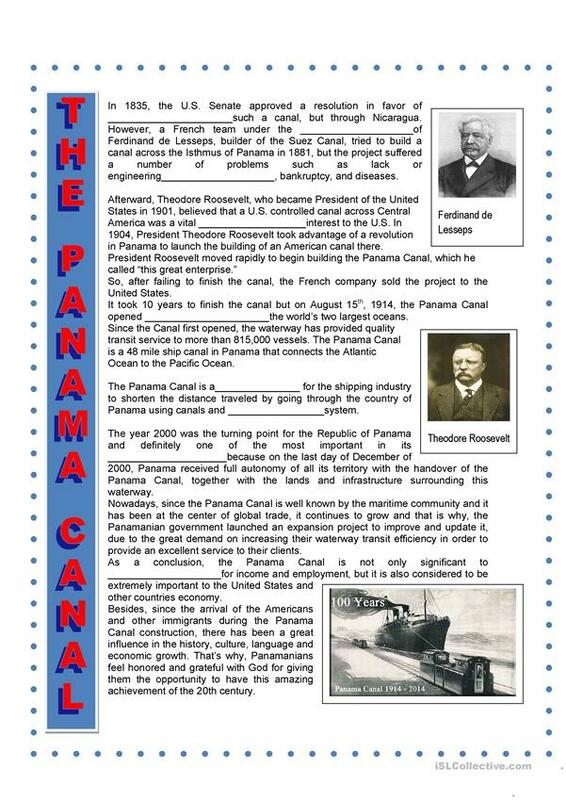 In Panama we are commemorating one hundred years of the Panama Canal. 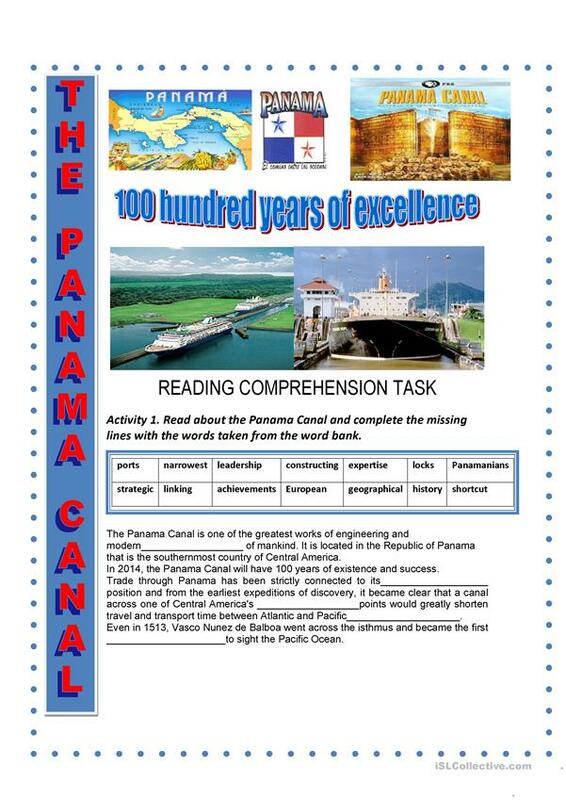 This is a reading with seven activity task about the Panama Canal. I hope you can find it useful. 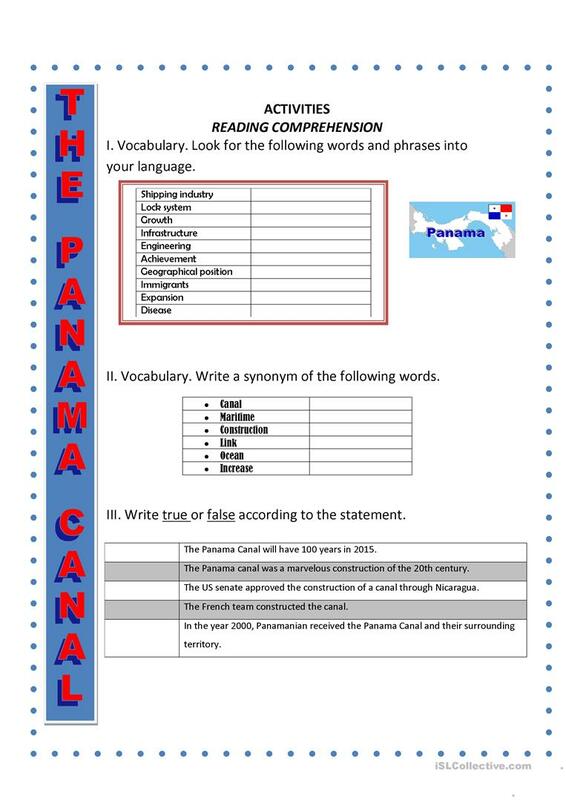 The present downloadable printable is intended for business/professional students, high school students, elementary school students and adults at Pre-intermediate (A2), Intermediate (B1), Upper-intermediate (B2), Advanced (C1) and Proficient (C2) level. 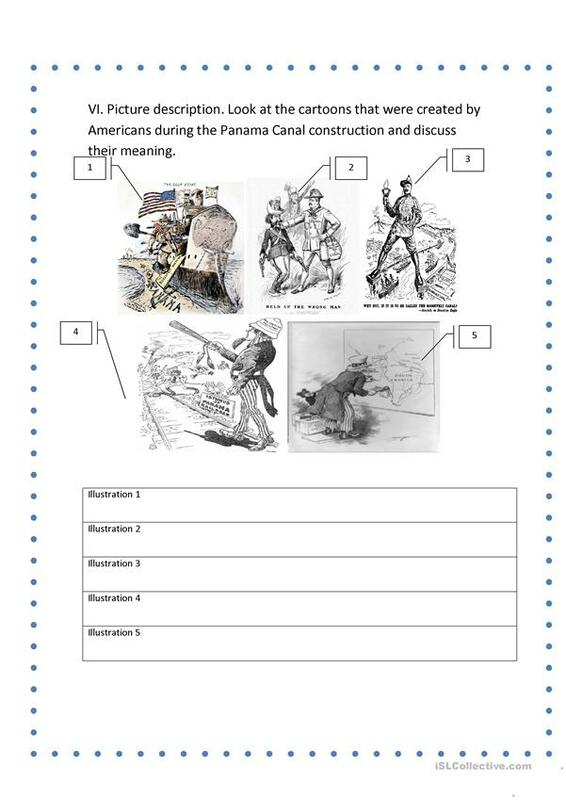 It is excellent for strengthening your class' Listening, Spelling, Speaking, Reading and Writing skills. It is about the theme of Culture, intercultural communication, cross-cultural communication.